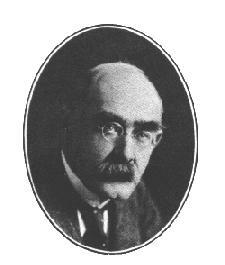 ﻿ Poetry Lovers' Page - Rudyard Kipling: "The Men That Fought at Minden"
You are here: Home » British/American Poets » Rudyard Kipling » "The Men That Fought at Minden"
So was them that fought at Waterloo! They was once dam' sweeps like you! For we'll make you soldiers yet! To clean the cook-'ouse floor. When they clubbed their field-parades. They kept 'em bright as gold. They washed be'ind their ears. For the good advice I gave. The rooks will stand the beer! Run an' get the beer, Johnny Raw -- Johnny Raw! Ho! run an' get the beer, Johnny Raw!